” The problem with policy making in this area is that the government fails to accept that the data on the CDC shows effects on the communities ranging from negligible to negative. The Cashless Debit Card (CDC) has been in operation in the trial sites of Ceduna, South Australia, and the East Kimberley, Western Australia in since March and April of 2016 (respectively). Progressive rollout of the CDC in the Kalgoorlie/Goldfields region in Western Australia has been in motion since the 26th of March, 2018. If the Social Services Legislation Amendment (Cashless Debit Card Trial Expansion) Bill 2018 recently presented to Parliament passes, then trials will be expanded to the Bundaberg and Hervey Bay region in Queensland as well. The CDC is a form of income management that quarantines 80% of social security payments received by working-age people (15-64 years) in trial sites, preventing cash withdrawals (the remaining 20% goes to the participant’s usual bank account). The aim of the CDC is to restrict purchases of alcohol, illicit drugs, and gambling products. The CDC is compulsory for all income support recipients in Ceduna, the East Kimberley, and the Goldfields who receive the Disability Support Pension, parenting payments, Carer’s payment, Youth Allowance, and Newstart Allowance. For those on the aged pension or veteran’s payment, or for those earning a wage, there is an option to voluntarily engage with the scheme. In the proposed rollout to the Bundaberg and Hervey Bay region, the program will apply to people 35 and under who are in receipt of Newstart, Youth Allowance (Job Seeker), and parenting payments. The Federal Government’s announcement of intent to expand the CDC to the new sites at Goldfields/Kalgoorlie and Bundaberg and Hervey Bay received immediate approval from the Minderoo Foundation, whose founder Andrew Forrest has been a staunch supporter of the CDC, having been one of the earliest and most vocal proponents of cashless welfare. In late 2017, the Minderoo Foundation presented a report to the Minister for Human Services– the Hon Alan Tudge MP- containing 11 recommendations to facilitate the further expansion of the CDC program of income management. 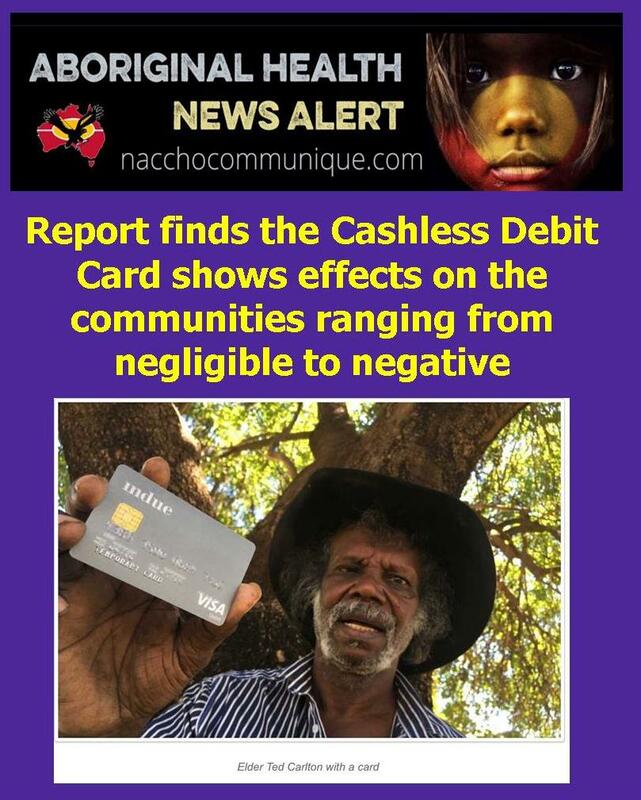 Noting the indirect impact the Cashless Debit Card currently has on Aboriginal and Torres Strait Islander people, in identifying the Bundaberg and Hervey Bay area as a fourth location, consideration was given to expanding to an urban population, with a significantly lower Aboriginal and Torres Strait Islander population. It is estimated that 14 per cent of participants in the Bundaberg and Hervey Bay area will be Aboriginal and Torres Strait Islander people. With the addition of the Goldfields areas, Western Australia, and the Bundaberg and Hervey Bay area, the proportion of Indigenous participants across the four sites will be approximately 33 per cent. The aim of the report is to highlight the changes required to facilitate smoother functioning and further expansion of CDC trials. It therefore engages with some of the challenges raised in the ORIMA evaluation of the East Kimberley and Ceduna trial sites. The report asserts that the issues with the CDC noted till date are largely technical, and open to amelioration via upgrades to the technological side of income management. The author(s) argue that the ORIMA reports ‘found mixed results that underscored technological limitations within the current CDC model’ (p. 4). 11 recommendations are made under the following three headings: improving social outcomes, improving participant and merchant experience, and creating a scalable solution. The angle taken by the Minderoo Foundation and workshop collaborators collapses the diversity of negative responses to the CDC- largely articulated in terms of increased financial hardship with flow-on social effects– into a list of simplified indicators that merely address the technical platform for service provision. Despite this, the report advocates for the continuation of the CDC, encouraging technological upgrades to facilitate its expansion to new sites. 1.Lack of attention to human rights. One of the most confronting suggestions in the Technology Report is in Recommendation 4, which suggests that the CDC should incorporate an opt-in income smoothing feature. The report states that welfare funds could be disbursed in small amounts- with the example amounts being $20-$50- into the core transaction account on a daily/bi-daily basis. While it is proposed as a voluntary measure, it is nonetheless concerning. Income support recipients who opt-in would be effectively drip-fed payments in order to curb early over-spends and payday lending (short-term, high interest loans). The report suggests that this might be applied in conjunction with basic financial education, but the emphasis is clearly on behavioural income management over financial literacy. Also included in the report are assumptions about the ability of Aboriginal and Torres Strait Islander income support recipients to manage their own money. Recommendation 2 refers to the need to impose technical solutions to dissuade humbugging and card-swapping. The report’s author(s) appear to problematize notions of community ownership by claiming that this leads to inappropriate shared use of the card. The solution offered is to create an opt-in card with CDC-equivalent restrictions for non-welfare recipients. Problematizing community relationships and strategies to relieve hardship is particularly concerning given disinvestment in wrap-around support services- including remote Aboriginal housing– that may otherwise provide social security to Indigenous income support recipients. The suggestion that the CDC might stamp out humbugging is also ultimately unfounded, as it occurs for a variety of items other than cash, e.g. foodstuffs. 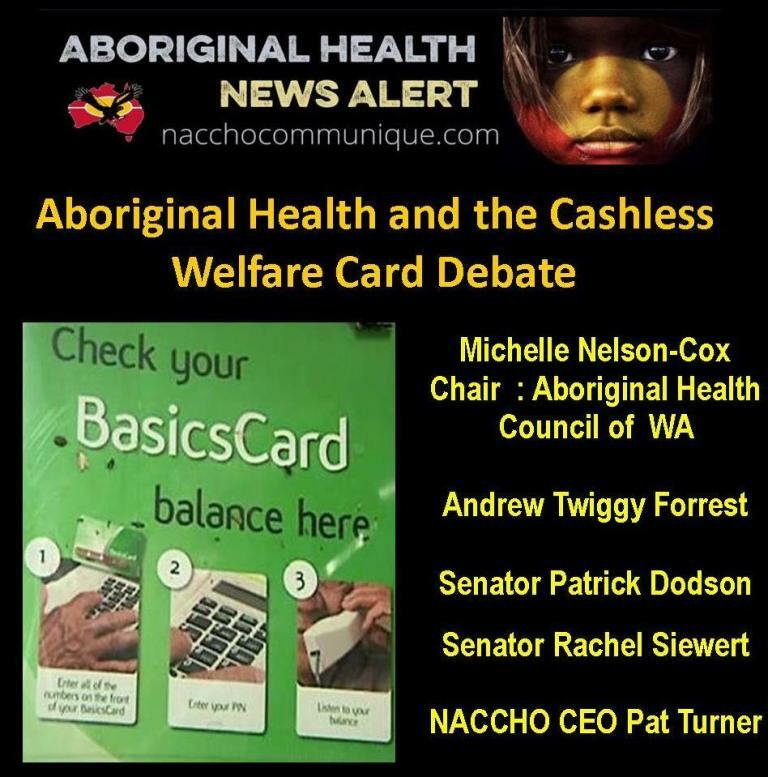 Overall, this serves to underscore the racialised tone permeating the CDC discourse that specifically refers to the management of Indigenous income support recipients. 2.Data security issues and concerning technological aspirations. The report’s suggestion that Indue should move to introducing a tap-and-go payment system is concerning, as this presents the opportunity for easy misappropriation of cardholder funds if cards are lost or stolen. However, the report goes on to suggest that even the tap-and-go system should require PIN identification, rendering the supposed gains in accessibility redundant. 3. Growing profits of the Income Management industry while doing harm to the poor. The Technology Report makes recommendations for increasing the scale of the CDC trials with the use of multiple card issuers rather than a single issuer (Indue). This means that Indue could make its infrastructure available to third parties, which can then offer a CDC package of their own to extend income management under their own provider name. While the report identifies this as a way to reduce stigma felt by CDC participants, make the CDC more user-friendly by leveraging existing banking industry support networks, and lead to greater product innovation through competition, this appears to open the option for an increased number of providers to capitalise off income management- Indue Limited is currently on a $21.3m contract with the Department of Social Services. 4.Selective use of data to support claims of success. There are two key issues with the data being used to bolster the recommendations in the Technology Report- firstly, the fact that the collection of the data itself is methodologically and analytically flawed, and secondly, the nature of the data collection itself during formal evaluations of the CDC. Janet Hunt of the Australian National University has conducted an analysis of the trial evaluation carried out by ORIMA Research on behalf of the government in 2017. Hunt highlights selective presentation of results by ORIMA, including a lack of clarity around the factors impacting reduced alcohol use in Ceduna and the East Kimberley, the telling facts that the majority of participants identified that the CDC made no positive change in their lives and that almost half of participants stated that the CDC had actually made their lives worse. However, reference to these mixed results in the evaluation data only occurs in the Technology Report during a discussion of the technological ‘limitations’ within the current CDC model, where the issue is framed as one of inadequate scope for technological interference in financial transactions of income support recipients. Based on a comparison between the BasicsCard and the CDC the latter is presented as a superior model, the report also makes the troubling suggestion that the government should undertake a study on the feasibility of moving BasicsCard holders onto the CDC infrastructure. The report frames the CDC as an improvement on the BasicsCard due to enhanced ‘consumer protections’ such as having a more secure chip (as compared to magnetic stripe) and being more ‘user friendly’ with respect to its ‘open-loop’ model for purchase restrictions. The ‘open-loop’ model refers to the user’s ability to use the CDC ‘at any Visa Debit accepting store that is not categorised as a supplier of excluded goods and services’- where stores do not have to have entered into a contract with the Department. This is in contrast to the BasicsCard ‘closed-loop’ model, where the card can only be used at approved stores who have entered into a contract with the Department, and only to buy approved goods and services. However, it is apparent that this is really just fussing over the details of how to most effectively manage the finances of income support recipients. 5.Little attention to wrap-around services. While we acknowledge that the purpose of the report is primarily to discuss the technology of the CDC, there is typical lack of attention given to the importance of wrap-around services. Wrap-around services have been identified by the Australian Council of Social Service as a key component in addressing disadvantage in communities, as income limiting alone cannot ‘treat’ addiction- people need integrated and long-term support. While this is even acknowledged briefly in the report itself, the report nonetheless recommends a list of 11 technocratic solutions to issues of social concern without presenting an understanding of how these changes might articulate with community-sector supports such as alcohol and other drug rehabilitation services, family violence services, financial counselling services, and so on. This disconnect is particularly salient when considering that the latest federal budget indicates that there will be further spending cuts to Australians receiving income support payments- particularly people who are unemployed, people with a disability, low-income families and students. The problem with policy making in this area is that the government fails to accept that the data on the CDC shows effects on the communities ranging from negligible to negative. We know that the CDC has not worked, and yet there is still a push for the trials to be expanded and extended. The effect of this report is to reinforce the beliefs that the so-called ‘solution’ continues to primarily involve tinkering with the details of technocratic policies. This runs the risk of further marginalising precisely those who are in most need of an effective and comprehensive federal safety net.